Carefree Vacation has been a force in San Diego’s retail travel community since 1963. The current management team has been leading Carefree Vacations since 1988. The company has retail stores throughout San Diego county and in Palm Desert, California. Our objective is simple; make travel Carefree. We’ve done so by ensuring that customers, prospects and visitors have unlimited access to global travel information through our expansive and comprehensive web portal. We’ve made it easy to virtually explore destinations, understand pricing and supplier services and, when you’re ready, speak to a travel expert for advice. Our salaried and experienced globetrotters play an invaluable role in the planning process by bringing all the component parts of a vacation together in a way to make your experience unforgettable. Carefree has grown to become one of the West's top retail travel agency chains with vacation sales exceeding $25 million dollars in 2015. Through the parent company, Carefree Vacations has distinguished itself throughout the industry through accreditation and ongoing education of their salaried travel consultants. Among other industry accolades, Carefree has been recognized as one of the top sales producers among the over 250 members of Signature Travel Network for the past20 years. Signature Travel Network is a $5.5 billion dollar travel consortium with global operations. Frosch-GlobalPoint is proud to be a major shareholder of Signature since 1996. The list of tour wholesaler companies with whom the company enjoys special pricing, added amenities and preferred status includes, among others: Apple Vacations, Brendan Vacations, Club Med, Walt Disney Travel Company, Globus Journeys, Pleasant Holidays,Trafalgar Tours, Travel2, and Tauck World Discovery. Similarly, our preferred major cruise lines include: Carnival Cruise Lines, Celebrity Cruises, Crystal Cruises, Cunard Line, Disney Cruise Line, Holland America Line, Royal Caribbean International, Regent Seven Seas Cruises, Oceania Cruises, Princess Cruises and Uniworld River Cruises. The President of GlobalPoint, Tim Smith, served as the Chairman of the Board for Signature Travel Network for nine years. He is currently the Chairman Emeritus. The Signature travel network has grown to become a global powerhouse in retail sales of cruises, tours and family vacations. Affiliations include: ASTA, CLIA, Signature Travel Network, Hickory and Thor 24. Corporate travel has been the mainstay of SDTG's success over the past 20 years. This division represents 60% of all revenues for the combined company. Corporate travel processing is centered in the Sorrento Mesa office with some supplementary business in the company’s satellite locations throughout San Diego County. GlobalPoint's emphasis on high-touch customer service standards has allowed the company to successfully manage such high-profile accounts as: The San Diego Padres, The Arizona Diamondbacks, The City of San Diego, The La Jolla Playhouse, Anthony Robbins Company, WD 40 and The Phoenix Suns. 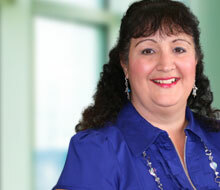 The local biotech community is also strongly represented in the company’s clientele list. The entire range of international document processing along with required photos and currency exchange is handled by World Passports & Visas. All documentation is handled safely, securely, and expeditiously. With eighteen years experience, this division has a reputation amongst travel suppliers, other travel agencies, and the public for exceptional service. The department is located in our Carmel Mountain office. 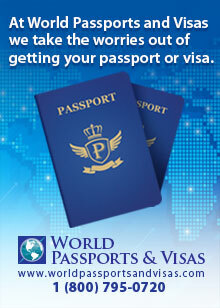 www.worldpassportsandvisas.com or email tcummins@worldpassportsandvisas.com.